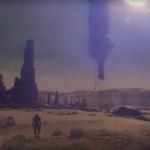 E3 2016: First Big Look At Mass Effect Andromeda Electronic Arts showed off a two-minute video showcasing the progress of their Mass Effect Trilogy follow-up, Mass Effect Andromeda, today during their EA Play conference. Unfortunately Mass Effect Andromeda is still too far away to attach a release date (2017 is the vague promise), but we got a great look at the various worlds that await players by then, as well as some half-second peeks at the creative process behind the game. New Let’s Play Show Total War: Warhammer DLC Final Battle Despite beliefs to the contrary, video game developers do post official Let’s Plays of their titles. Often with a specific purpose or goal. Whether it be to highlight a specific story element, show off gameplay, or just impress, they do do them. 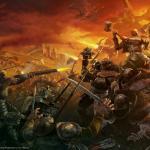 For SEGA and Creative Assembly, and their title Total War: Warhammer, they decided to release a Let’s Play showing off one of the final battles in the Chaos Warriors DLC. This is deep into the game, and potentially spoilerish, so you have been warned. 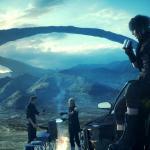 Square-Enix’s 2016 E3 Schedule Just like Nintendo, Square-Enix will be running a livestream presentation of its games throughout the E3 event. I’ll tell you ahead of time that there is no Kingdom Hearts 3 listed here — every game is one that’s close to completion (which makes sense….you don’t want an unfinished game freezing up due to a bug in front of everyone, which has happened). You WILL get to see live plays of Final Fantasy XV, Star Ocean 5, Dragon Quest Builders, World of Final Fantasy, I Am Setsuna and more. To watch the livestream during E3, head to Square’s YouTube or Twitch channels.. Fallout 4 Was Briefly Free On Xbox Yesterday To everyone reading this who was super-busy yesterday and had no time to turn on their XBox One consoles and unwind….yeah, this was the ONE DAY. Figures, doesn’t it? 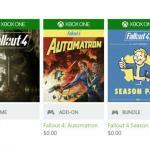 Due to some kind of error, the price of Fallout 4’s digital version on the XBox Store was reduced to $0.00, and so was all the DLC content and the Season Pass. While this was in effect, Kotaku reported they were able to get the purchase through with no issues. 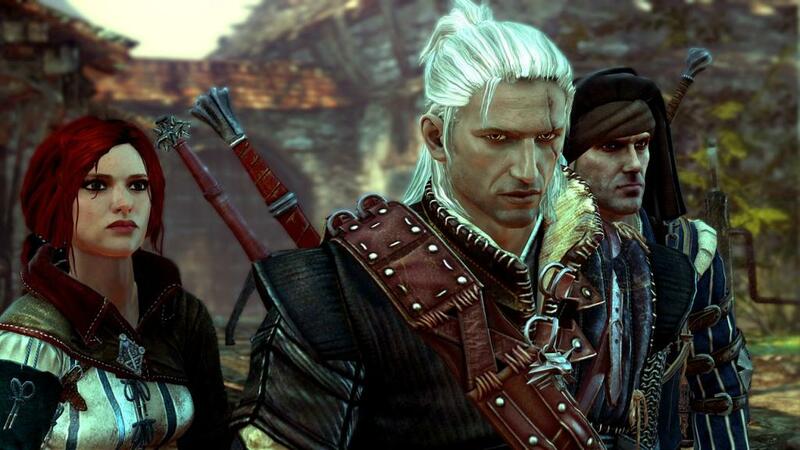 Witcher 3’s Gwent Will Soon Be Sold Separately Within The Witcher 3: Wild Hunt, you can play a card game known as Gwent. 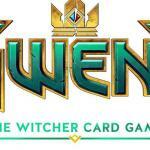 It looks like soon the $60 barrier to this game will be removed — Gwent is about to become its own entity. Watch The New E3 Trailer For Kingdom Hearts 2.8 Kingdom Hearts 3 is the one everybody’s waiting for, but it won’t arrive for a while yet. This filler game will have to suffice for now: Kingdom Hearts 2.8 is a remaster of the 3DS’s Dream Drop Distance as well as Kingdom Hearts χ Back Cover, containing about an hour’s worth of new content. On the bright side, we may be getting this trailer before E3 because E3 itself could be packed with new Kingdom Hearts 3 information! We’ll let you know in a few days if anything turns up. 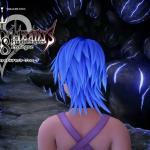 Kingdom Hearts 2.8 comes out for Playstation 4 this December. Odin Sphere HD Hits The Market Today If you missed Odin Sphere the first time, don’t make that critical blunder again. 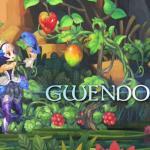 Starting today you can find Vanillaware’s lovely sidescrolling RPG at both retail and in the Playstation Store. We wouldn’t keep telling you about this game if we didn’t care about you. 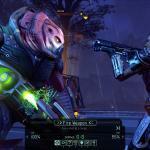 Firaxis Confirms That XCOM 2 Is Coming To Consoles After getting rave reviews, and many praises, the once PC exclusive game XCOM 2 is coming to PS4 and Xbox One according to Firaxis, who released a console announcement trailer and details about what’s coming. Story Of Seasons Sequel Coming Here In 2017 A few days ago we reported Natsume’s announcement of a new Harvest Moon game for 3DS. We also pointed out that Natsume now develops its Harvest Moon games in-house, where previously they had them made by a third-party studio called Marvelous. Marvelous, in fact, still makes Harvest Moon games to this day…they just go by a different name now. 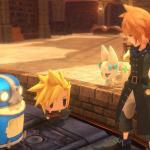 E3 2016: World Of Final Fantasy Trailer Some video game companies are starting to release their E3 trailers ahead of schedule, like so. Today Square released their new trailer for World of Final Fantasy. The two, normal-proportioned characters are twins Reynn and Lann, who traverse the world of Grymoire while meeting many big-headed representations of classic Final Fantasy characters. They can even turn into chibi people themselves, as the trailer shows, though for what purpose no one knows yet. You’ll also be able to capture any of the iconic FF monsters you encounter and train them on your own. Finally, a Malboro on YOUR side!